Summer has ended, and falling water temps have activated a crappie feeding frenzy. First find fish, then dial in your presentation to catch a stringer of slab crappies. Locate suspended crappies with your electronics around points and on the outside edges of weedlines. Their location and activity will determine your tactics. 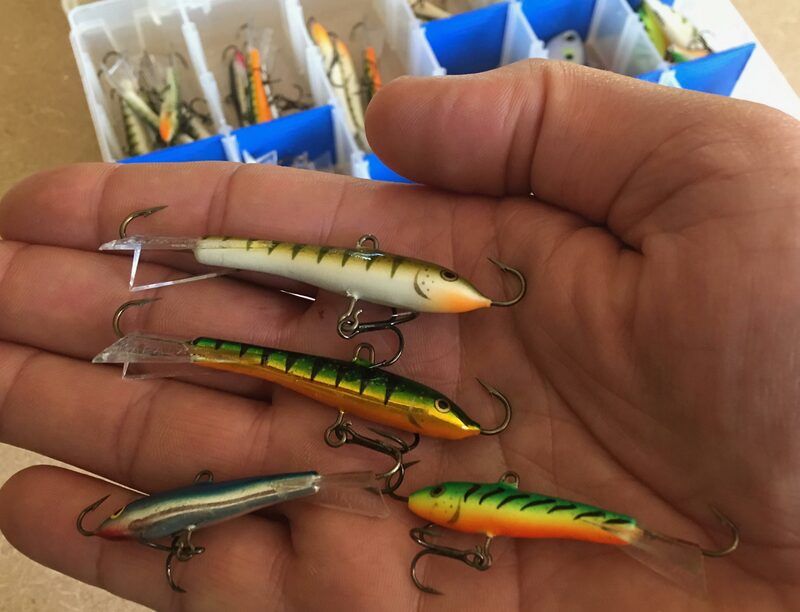 If you find tight schools of fish, jig for them right over the side of the boat and drop your lure just above the depths where you’re marking fish. But if you are finding scattered fish, try a casting or trolling technique to cover water and put your lure in front of more fish. Perch patterns are a good place to start. I like to fish as aggressively as possible. 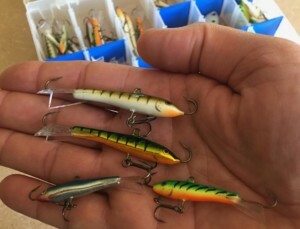 I’ll start with a Rapala Jigging Rap over the side of the boat and drop it below the transducer so I can see how the fish are responding to my jigging strokes. First I will pop the lure up about 2 feet and let it fall, pause a few seconds, and repeat. This is often a little too aggressive for crappies, so I will just pop the lure up a couple feet and let it fall on a tight line – paying close attention for quick strikes. If they still won’t hit, you can use an even slower lift-and-drop technique. Change it up until you determine the mood of the fish. I start out with a No. 7 but will step down a size or two before abandoning this presentation. 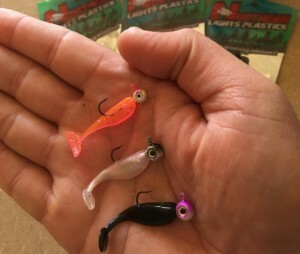 If you can’t prompt strikes via a Jigging Rap, then try something more subtle like a jig and plastic. A jig and plastic is very versatile and performs well in tight schools of fish. When they are more scattered, you can cast and retrieve in areas where you have marked fish. Minnow profile plastics with either a twister-type tail or paddle tail work best this time of year. You can fish a jig and plastic very aggressively or you can slow it down and fish almost like when jigging through the ice. An even more subtle presentation is a simple jig and minnow. You can vertical jig it, cast and retrieve, or even set it under a slip-bobber. As the weather changes so will the bite. First locate fish with your electronics, then figure out what will put fish in the boat. With so many options available, I start aggressive, then work my way down to subtle presentations. Use these techniques right up until lakes freeze over. Good luck fishing and stay safe.